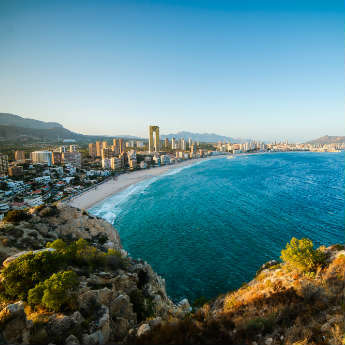 3 days in Benidorm is never enough, we know, but if you only have 72 hours in this favourite Spanish destination you have to cram in as much as possible. Here’s how to experience the best of Benidorm in 3 days, beach time included! 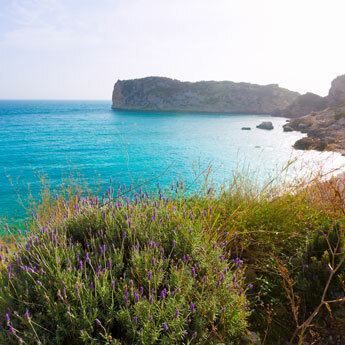 Take it easy on your first morning in Benidorm and head to one of the three Blue Flag beaches that surround this resort on the Costa Blanca. 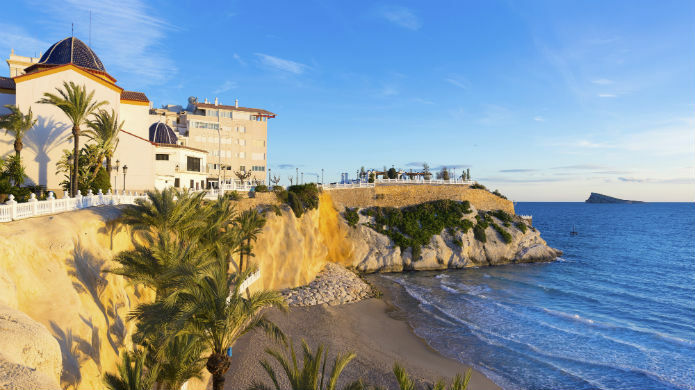 One of these beaches is Poniente Beach, an accessible 3km strip of sand that includes facilities such as floating platforms, children’s play areas and leisure facilities in case you get a bit peckish throughout the day. Malpas is the beach to go to if you want to catch the first sun rays of your holiday. This small strip of sand is protected all year round by the castle cliffs of Benidorm which means even on cooler days, you can keep warm in the Spanish sun. 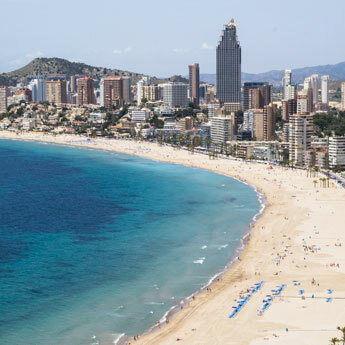 If you’re looking for something a little livelier, Levante Beach, the most popular part of Benidorm’s coastline, has over 5000 sunbeds and spectacularly clean sand. It’s also super family friendly with a gentle slope towards the ocean and giant sand sculptures! For a spot of food at lunch grab some food along Levante’s pedestrianised promenade where you’ll find everything from noodles to a delicious Chinese dish. 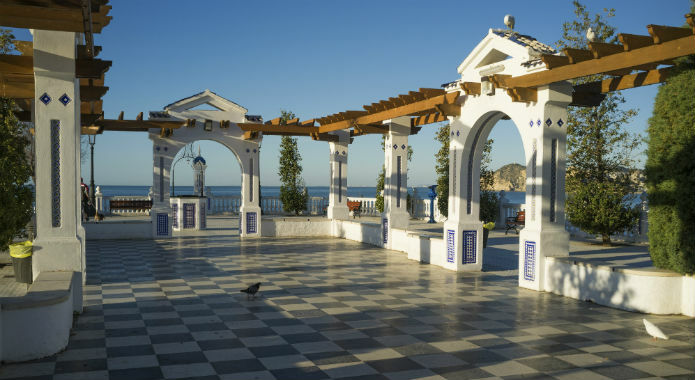 This will set you up for an afternoon exploring Benidorm’s Old Town where you’ll get to explore this resorts historic past. 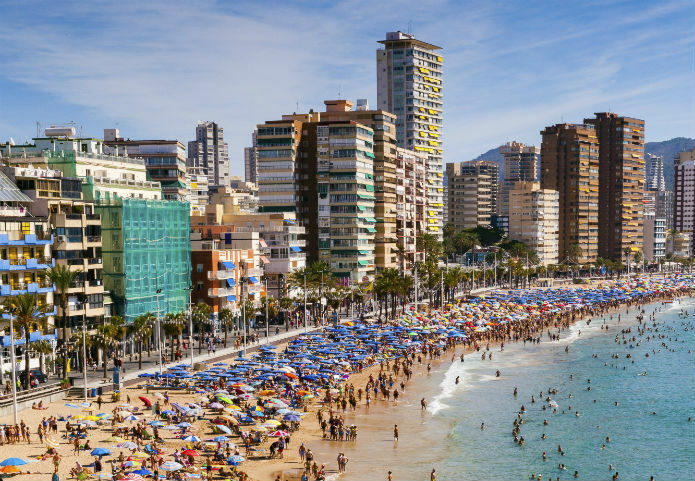 Although Benidorm may look like a mass of high rise buildings and modern hotels, parts of the Old Town date back to 1325 and the cobbled streets and Baroque domed church, will take you back to a more traditional time of Benidorm. Spend your evening enjoying traditional tapas in the Old Town where you’ll find people of all ages enjoying the evening sun and soaking up the local atmosphere. If you want to see the prettier side of Benidorm, here are 4 Places You Won't Believe Are In Benidorm! After what might have been a late night, have a leisurely morning enjoying breakfast at one of the many beach side restaurants before heading to the nearby town of Altea. Today is the day for a catamaran cruise where you’ll get to see the beauty of Benidorm’s coastline. Hop on board around 11am and throughout the day you’ll sail past the Sierra Helada mountain range and the scenic beaches surrounding Benidorm. BBQ lunches and drinks are are usually supplied on board so expect to be well fed while you enjoy a day out on the ocean. 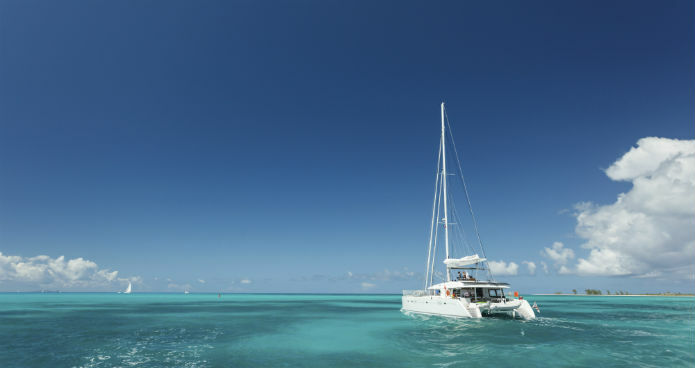 Cool down by having a swim in the clear blue sea and why not grab a snorkel to check out the underwater wildlife. Return back to Altea for around 5pm to get ready for the night ahead. Now I don’t know if you heard, but Benidorm can be pretty good for a night out. From themed bars to Las Vegas style shows, Benidorm certainly knows how to entertain. Around Levante beach there are comedian, tribute bands and drag queens. Alternatively, if you just want to dance the night away, there are over 200 bars, discos and night clubs in Benidorm so there’s no chance you’ll be short of choice for a night on the tiles! On your last day in Benidorm, make a day of it at Terra Mitica. A place where you can go for an all-out adrenalin rush or take it easy in the jacuzzi area of the Iberia Park section of Terra Mitica. Only a short journey away from the centre of Benidorm, Terra Mitica entertains guests with Falls of the Nile, a log flume which not only has a 20 metre forward drop but a 10 metre fall backwards too! There’s also Magnus Colossus, a clattering wooden rollercoaster with steep bends and hair raising drops! Those who are not so keen on wild rollercoasters though might want to take it easy for the day at Terra Natura, Benidorm’s wildlife park. Situated next to Terra Mitica, this wildlife park allows visitors to experience over 1500 types of wildlife, as if there were no barriers. When you venture back to Benidorm, make a stop by the Old Town to pick up some souvenirs or clothes from one of the many boutiques surrounding the “walking street”. You might want to sit down and enjoy a traditional Spanish meal while you’re here, or alternatively, head to one of Benidorm’s famous shows. Benidorm Palace is one of the most famous, where spectacular dancers entertain in glamourous and colourful costumes. If you’re looking for a true Benidorm experience, then this is it and the show even comes with dinner included! Just make sure to reserve a table beforehand. If you can’t make it to Benidorm Palace, there’s a huge range of cabaret acts that will make your holiday in Benidorm one to remember. Are you going somewhere else for 3 days? Why not check out 3 days in: Marbella? By Emma Hart - Enjoying the beach life in Benidorm!